This hotspot is one of my favorite spots at Strijp-S. In the central square of Strijp-S you will find this (very!) small coffeespot right at the corner of the building, where you can enjoy the sight of the fabric-buildings of the Torenallee at Strijp-S, but also enjoy breakfast, coffee or lunch. 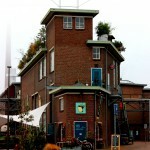 During the week, the koffiehuisje opens at 08.30h and in weekends at 10.00h. The cool thing about the Koffiehuisje is that it is tiny and cosy. From the small downstairs you can climb up a steep set of stairs to a small attic, where you can enjoy your bite in small company. The Koffiehuisje stands for quality of coffee and food (home made cookies and pastry), cosiness and good attention from the staff. They work with dedication, enjoy their job and you can feel that. I have been here frequently and have enjoyed the good view, coffee, great lunches and nice atmosphere. If you’re there try the goat-cheese salad with figs, freshly baked gevulde koeken (filled cookies with the taste of almonds) or one of the home made juices. The best spot to sit in summer is at one of the tables constructed of wooden sleepers (railway) outside. These tables are decorated with Guatemalan-type bright colored blankets and are very large which means interacting with the people sitting next to you. The visitors of the koffiehuisje are of all sorts. There are Design students working on their projects or having lunch, business-men who have visited one of the many startups in the area (this area has more than 531 small companies) or friends meeting up. During the events that are given at Strijp-S (for example the Feel-good-market, music events, Kings-day), the koffiehuisje is always involved and one of the central spots in the area. This coffee spot is supposed to be the smallest espresso bar in Eindhoven, It’s small that’s for sure, and I can say it’s one of the cosiest! 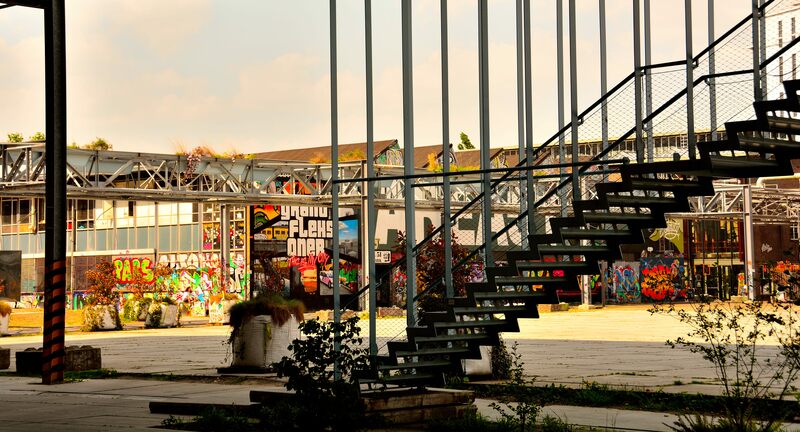 Go and visit this cool coffeespot and don’t forget to go for a walk around the area, as you will find lots of designer and furniture stores, cool industrial buildings, lots of other restaurants and even a skatepark (Area 51). To learn more of the other possibilities at Strijp S, visit this page. For other coffee spots, visit my category-page. 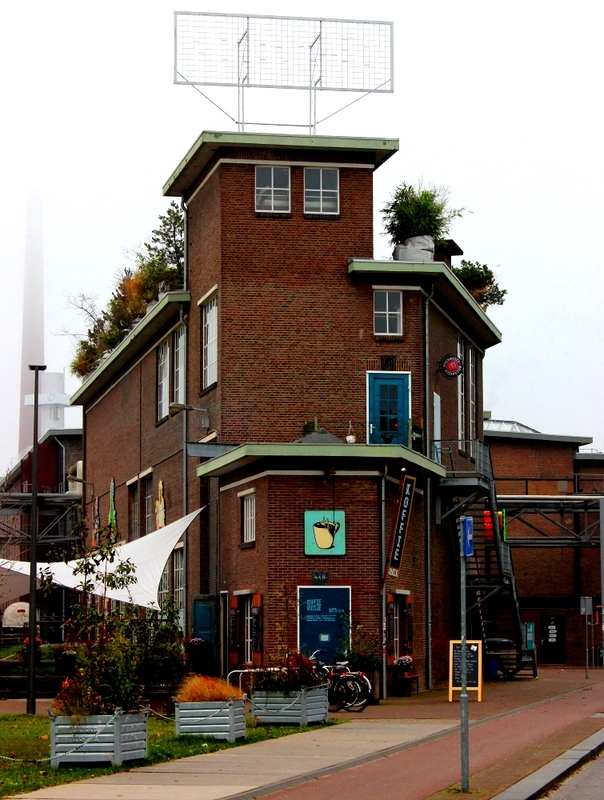 In January 2016 the owners of the koffiehuisje moved and now the Ketelhuis runs this location. No worries though, it’s still a sunny nice hotspot for breakfast, coffee and lunch. And they added cocktails too and offer later opening hours in the weekend. Enjoy! For the latest hotspots or events follow me on Facebook, Twitter or Instagram. 9 december 2014 | Filed under Breakfast spots, Coffee spots, Lunch spots, Terrace spots.